What happens to gamers when they get married, have kids, and get old. 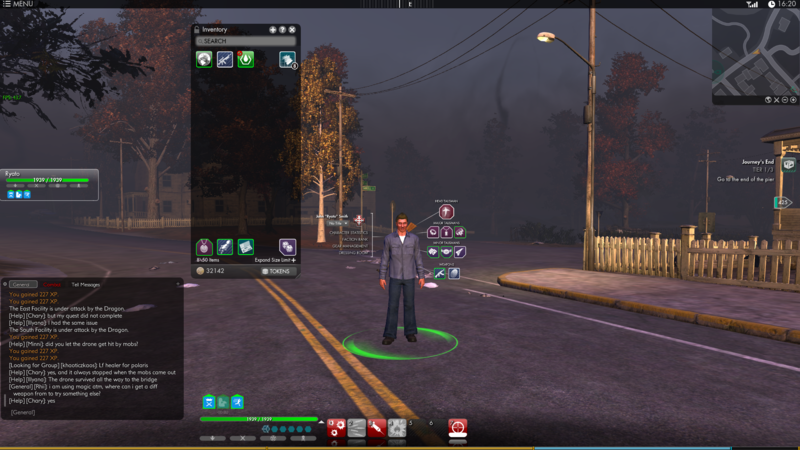 I have been aware of Funcom’s new MMO “The Secret World” for a while now but I have not been getting much info on it nor was I real hyped up to play it. I have a history with Funcom games. I played Anarchy Online for a while and I also played Age of Conan. I finally got a beta invite for this weekend, which I guess is beta #4. It is supposed to be PVP focused, but that did not stop me from using it to get a feel for the gameplay and the skill system. The game looks like it uses the same engine as Age of Conan which I was able to get some pretty decent looking graphics on even turning some things down. The character creation was not anything to brag about. It’s weird but they look better in the game than they do when you are building them. I like the art they show while the different areas are loading and how they slowly color in from black and white. I also like how you get an in-game cutscene when you get quests from NPCs. The quest system is a little strange with limits on how many you can have and how you have to basically pause one if you want to take another in the same category. The way to “con” monsters and see how they match up to you is a little hard to get the hang of because it is not their name, but the color of the little symbols to the left of their name that identifies that. There are 3 dots for trash mobs that swarm you, a single dot for single mobs, and either skulls or a checkmark for heroic versions. I only ever saw the checkmark which means they are for a quest you are on. The color system on the marks is similar to other MMOs – green, white, yellow, red. I found as you get out from the borders of the starter town, the mobs turned yellow and started to bunch up where you would most likely pull multiples even if they were single dots. Also, since there are no levels, your strength is determined by the overall quality level (QL for you AO vets) of your gear. But some reading I did on the subject suggested it is only the QL of the talismans (lesser, greater, head) that you have equipped that the system seems to key off of. The skill system is an interesting take on removing levels and classes. If you ever played Anarchy Online, it is similar only the point totals are much smaller and instead of picking what would be classes, you can pick skills from various disciplines that are tied to specific weapon types. That is okay if you agree with what type of skills get associated with the weapons, but I found myself not wanting to do fist weapons or blood magic in order to do healing, so I had to pick assault rifles instead. You are allowed to have weapons from two different disciplines equipped at the same time so you can do active abilities from those two schools. Passive abilities do not require an equipped weapon to be used, so you can do some cherry picking to pick up passives you want from all over. The only limit is you can only have 7 passives and 7 actives equipped at any time. I really like how this limits the action bar clutter from all other MMOs. All in all, it has some good ideas. I like the setting, the graphics, the UI is simple and gets the job done. I did feel myself tempted to play it, but it still feels a little clunky and unfinished and I don’t know if it can survive as a monthly fee MMO especially given Funcom’s track record with AO and AoC both going free to play. I also was disappointed that while I could have been a dual pistol / fireball slinging character, there is no way I could have done so and been a healer. This entry was posted in #mmos, #thesecretworld and tagged #mmos, #thesecretworld. Bookmark the permalink. My Daughters being old enough so I don't need to pay for childcare.